Broad-ranging and empirically grounded, Patrick F. Campos’s The End of National Cinema maps the long-standing debates and new developments in Philippine cinema while illuminating the persistent but irresoluble claims made by—and on—filmmaking in the Philippines, claims that are revealing of the wider intellectual and political stakes that have to do with what it is like to live (and die) in the Philippines and what it takes to remake a society already in the throes of change. Uncommonly rigorous yet unapologetically iconoclastic, Patrick F. Campos’s work heralds an upsurge of exciting new scholarship on Philippine cinema in an analysis that links classic celluloid cinema to the emergence of digital filmmaking in the 2000s. I know of no other film scholar capable of mapping Philippine independent cinema within the regional crosscurrents of Southeast Asian film, the vagaries of the international festival circuit, and the institutionalized gatekeeping of Cinemalaya. 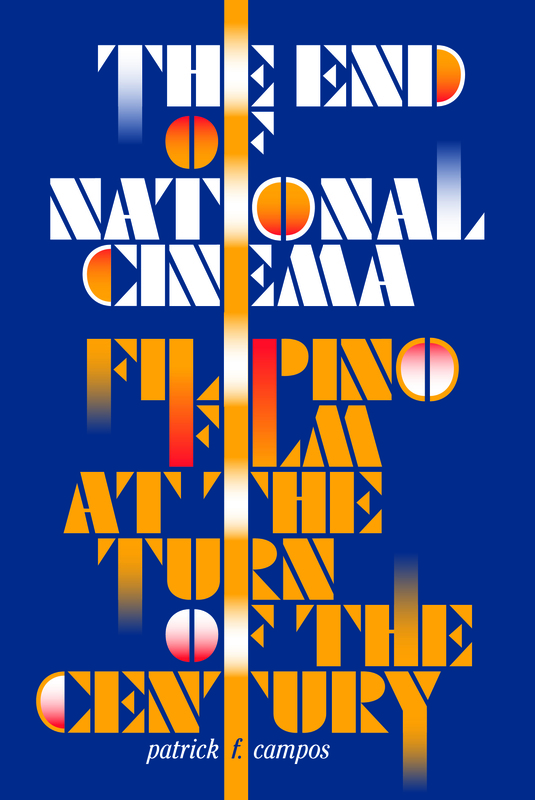 This groundbreaking book is a maverick compendium, refusing indie vs. mainstream dichotomies, dethroning the cultural myth of a golden age, and reassessing the naturalized nationalist prescriptions of Philippine film criticism. Without foreclosing their oppositional charge, Campos interrogates “national cinema” on the one hand and “independence” on the other, tracking the degree to which the national morphs under globalization while independent becomes a crucial yet conflated term. Patrick F. Campos is an independent critic and an Assistant Professor at the Film Institute of the University of the Philippines.